You have heard about how a musician loses herself in her music, how a painter becomes one with the process of painting. In work, sport, conversation or hobby, you have experienced, yourself, the suspension of time, the freedom of complete absorption in activity. 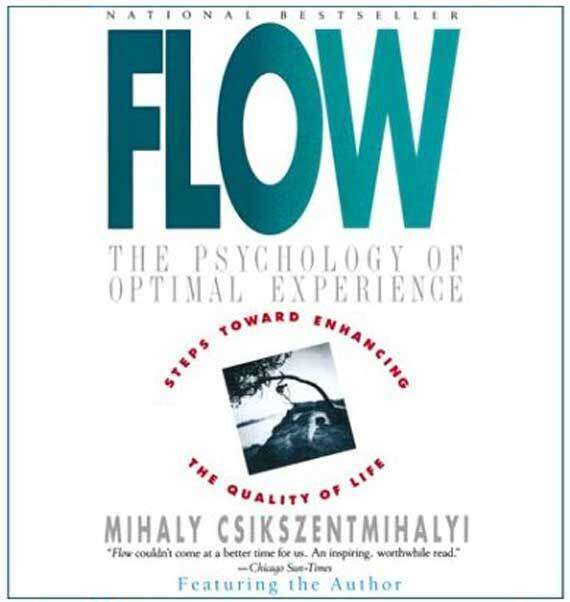 This is "flow," an experience that is at once demanding and rewarding – an experience that Mihaly Csikszentmihalyi demonstrates is one of the most enjoyable and valuable experiences a person can have. We have all experienced times when, instead of being buffeted by anonymous forces, we do feel in control of our actions, masters of our own fate. On the rare occasions that it happens, we feel a sense of exhilaration, a deep sense of enjoyment that is long cherished and that becomes a landmark in memory for what life should be like….. moments like these are not the passive, receptive, relaxing times…the best moments usually occur when a person’s body or mind is stretched to its limits in a voluntary effort to accomplish something difficult and worthwhile. Clear goals (expectations and rules are discernible and goals are attainable and align appropriately with one’s skill set and abilities). Moreover, the challenge level and skill level should both be high. Concentrating, a high degree of concentration on a limited field of attention (a person engaged in the activity will have the opportunity to focus and to delve deeply into it). A loss of the feeling of self-consciousness, the merging of action and awareness. Distorted sense of time, one’s subjective experience of time is altered. Direct and immediate feedback (successes and failures in the course of the activity are apparent, so that behavior can be adjusted as needed). Balance between ability level and challenge (the activity is neither too easy nor too difficult). A sense of personal control over the situation or activity. The activity is intrinsically rewarding, so there is an effortlessness of action. People become absorbed in their activity, and focus of awareness is narrowed down to the activity itself, action awareness merging. Not all are needed for flow to be experienced.